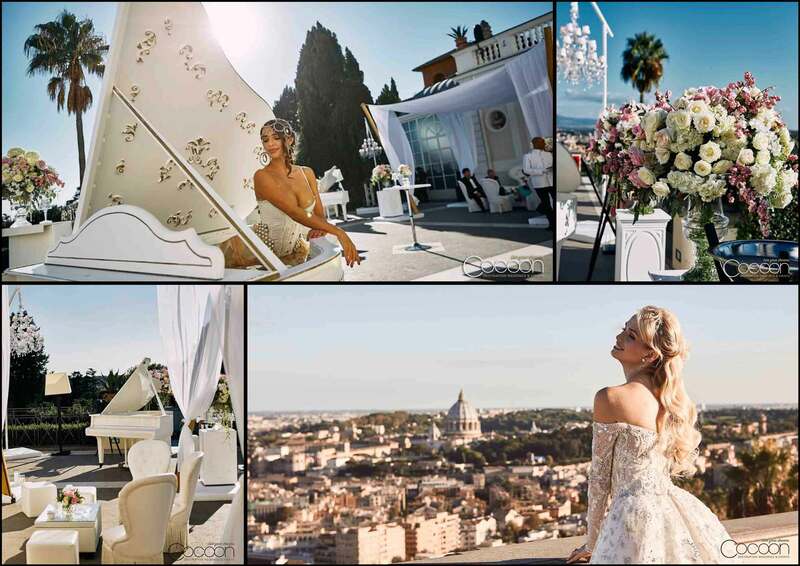 Diana and Dmitrii traveled from their home in Miami, Florida to Italy to celebrate their romantic wedding in Rome. 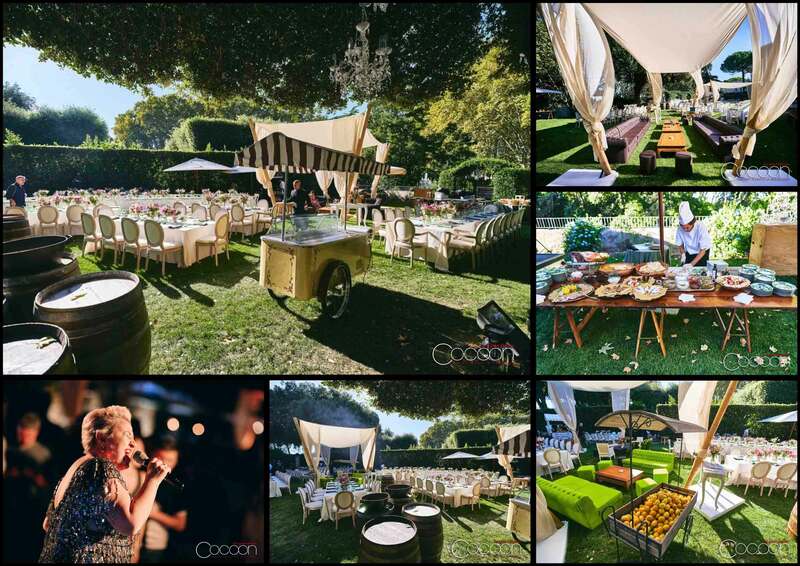 Their elaborate multi-day event unfolded in three of the City of Love’s most scenic villas: Pacifica, Milani and Aurelia. 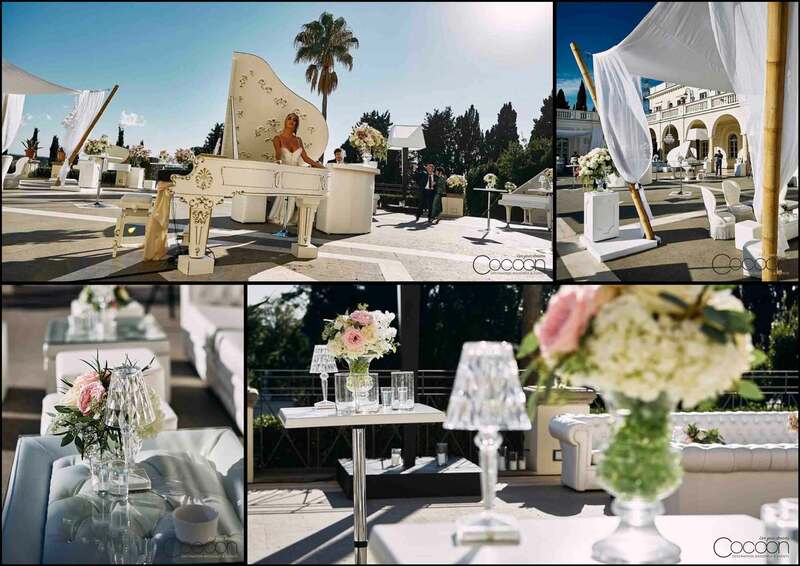 We were honored to serve as this special couple’s wedding planner in Italy and to create for them a luxury bespoke wedding experience. First, Diana and Dmitrii welcomed guests with a dinner in the gardens of Villa Pacifica. We worked with them to bring their vision to life in a Classic Italian Night theme, which included a multi-course gourmet dinner and an epic opera performance by live tenors. 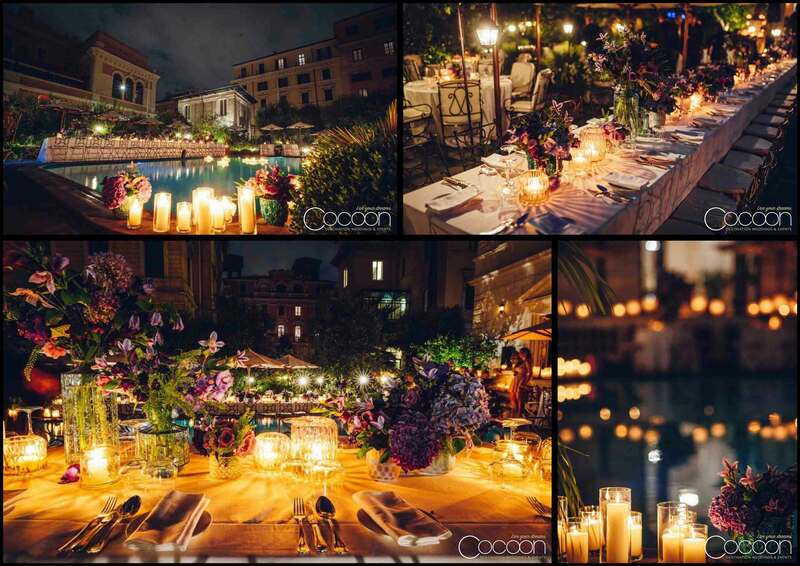 Vibrant purple and fuchsia flowers anchored the stunning décor and floating candles glowed warmly from the villa’s reflecting pool to illuminate the affair. Destination wedding in Italy are often beautiful, but Diana and Dmitrii’s Villa Milani ceremony and reception were far more than that. They were magical. 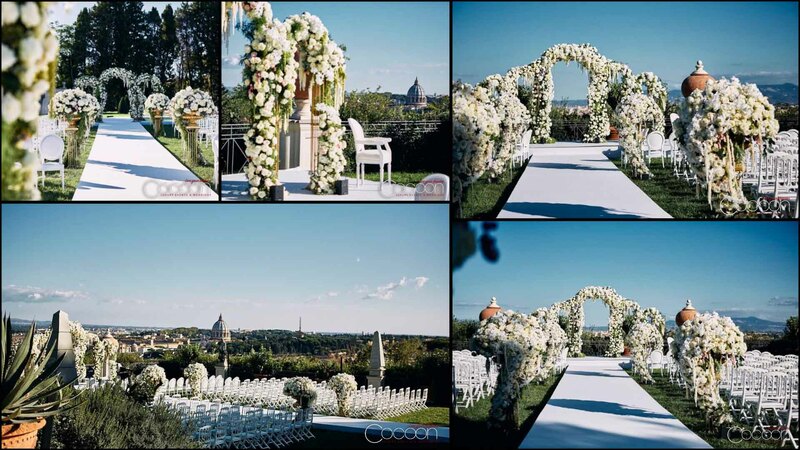 We constructed dramatic arches of white and pink flowers in the garden for the outdoor ceremony. Guests enjoyed unrivaled panoramic views of Rome and Vatican City while listening to live violins and an opera singer. 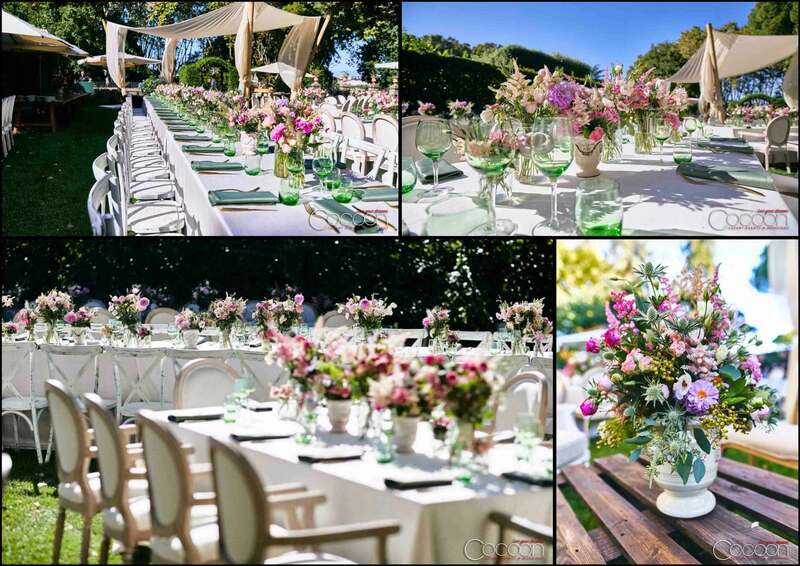 We carried the pink and white theme over to the overflowing arrangements at the reception dinner and party and incorporated both tall pillar candles and chandeliers dripping with crystals to gently reflect their light. 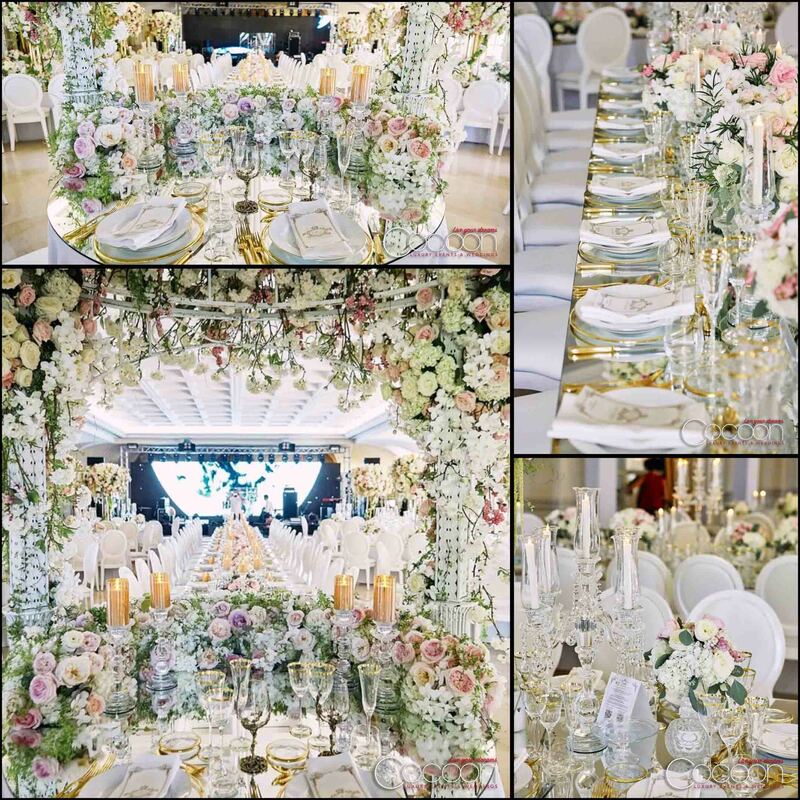 Mirrored tabletops further amplified the way the candlelight glistened in the room, and place settings of fine china and shimmering gold flatware with gold-rimmed crystal completed the look. 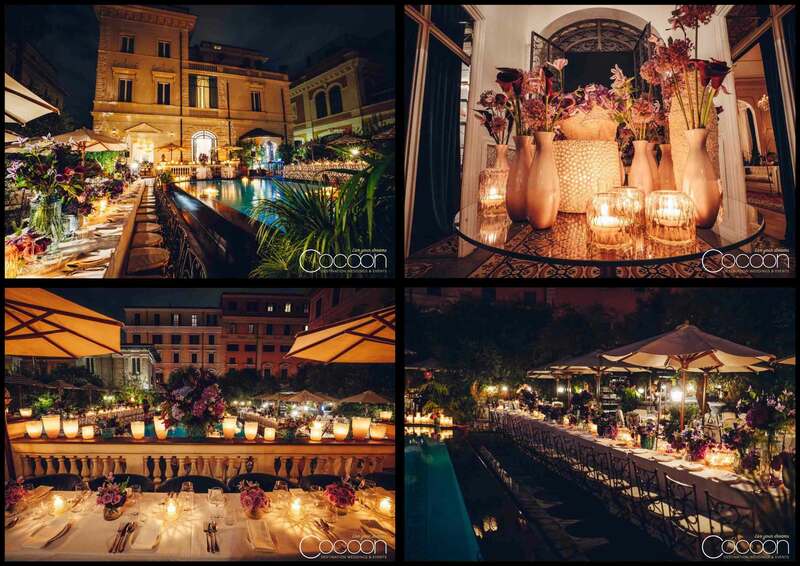 The final event was a Bohemian Chic brunch at the legendary Villa Aurelia in the heart of Rome. In contrast to the extravagance of the wedding night, the brunch paid simple, yet elegant homage to the natural beauty of Rome and the love that the newlyweds share. 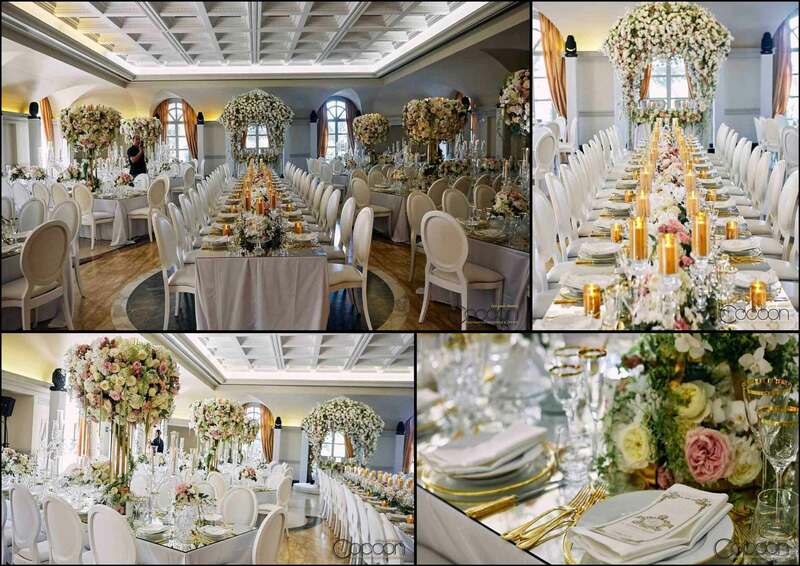 It was an intimate and relaxed gathering – the perfect way to end Diana and Dmitrii’s romantic wedding in Italy.